Conor McGregor vs. Floyd Mayweather. That's the big fight being dangled over fight fans right now. The reaction has been swift and more important, massive enough for both McGregor and Mayweather camps to consider this a serious endeavor. We'd pay to see it. And upon our most recent check on our news feed, chances are we might indeed have something to pay for, after all. That's according to Fox Sports host, Colin Cowherd, at least. The American sports media personality, speaking on his podcast The Herd, has declared that the fight between these two titanic fighters is happening in September and that the official announcement will be made two weeks from now. "This is gonna be commerce. That's what it's going to be," says the host. "I watched Evel Knievel as a kid. I watched Wide World of Sports. I watched presidential debates. Why do you have those debates? You have those debates not really to solve anything. It’s because CNN and FOX News, they can get big ratings and sell it to advertisers, and it’s commerce. Logical enough. Floyd and Conor aren't the type to say no to a big payday. And money aside, it makes sense for both camps. If Floyd wins, he beats a fighter that people do not see as a hand-picked pushover, a champion. 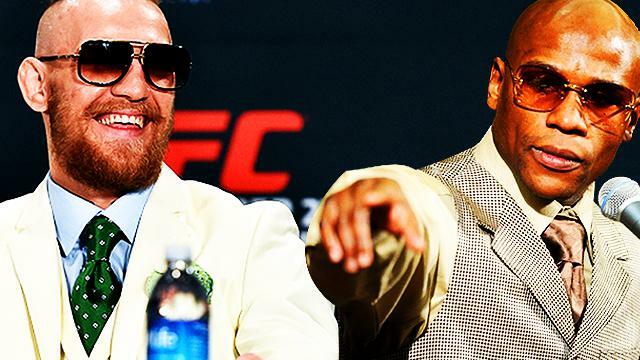 If McGregor wins, well, that should restore his mystique that has lost some of its luster in recent months." Beyond these, where does Colin Cowherd get his info? Unfortunately, he doesn't mention anyone that could fully legitimize his claim. He only cites an "intel" who gave him "a call" and a "somebody else" who sent him "something." Not exactly reassuring. Still, these were enough to get him to book rooms in Las Vegas on September 17 and 18, as he claims to have done. "News I believe is gonna break here in about two weeks... I have already booked two rooms, September 17th and 18th in Las Vegas. My intel is Conor McGregor and Floyd Mayweather is going to happen. It changed late last week. I got a call then somebody else sent me something [Sunday] and Saturday. We've booked rooms in Vegas. [It's happening] this September. Mayweather did have a very bad last pay per view gate: 550,000 people, he tries to get two-to-three million. So I think this is the most profitable fight for CBS and Mayweather. CBS has been working with Mayweather for years. That's why his fights are on Showtime, because CBS owns Showtime. So Les Moonves [President and CEO of CBS] and the CBS peeps have decided, 'let's talk to the Fox - UFC peeps' and you've got Fox and CBS, you've got UFC, you've got boxing, you've got Floyd, you've got Conor. It's gonna make a lot of money for people." Whether the fight pushes through or not, there's only thing we're hoping for: that the negotiations that are probably happening behind the scenes don't take as long as the Pacquiao fight.